Popular writer Vakkantham Vamsi is turning director with Allu Arjun’s high action entertainer, Naa Peru Surya. The film’s shooting has been progressing in Hyderabad and Bunny is toiling quite hard to ensure smooth sailing for his director. Talking to an English daily, Vakkantham Vamsi said that he must thank Allu Arjun for his cooperation. “I am very excited, and thank Allu Arjun for his wonderful support. 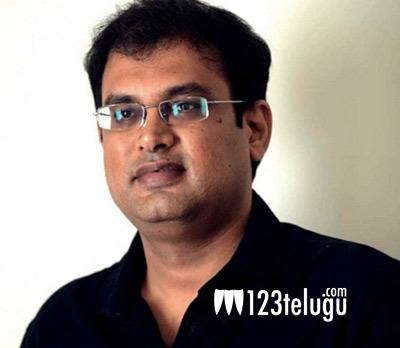 He has been working very hard for this film,” Vamsi said. Anu Emmanuel is the leading lady in Naa Peru Surya. Lagadapati Sridhar is producing the movie, while Naga Babu is presenting it. Bollywood duo Vishal and Shekhar are composing the music. NPS is scheduled to hit the screens on April 27, 2018.